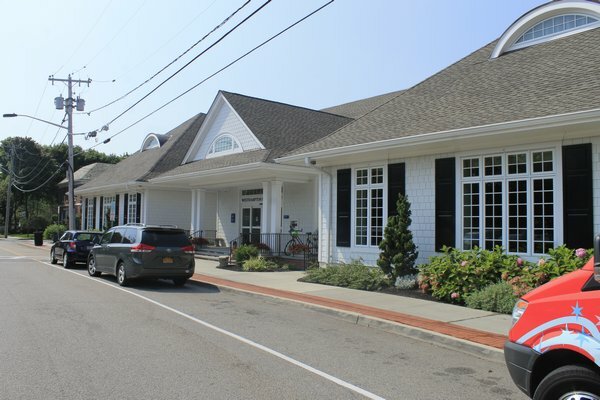 Taxpayers at the monthly Board Meetings of the Westhampton Free Library have questioned the finances of Library. The Library Director stated that should one of the contract districts decide to build their own library we would lose their tax revenue overnight so we need to fund contingency accounts. She also stated that the Board decides how to use that overage, be it for programs or merit pay or whatever the Board would like. The Board then went on to say how we need contingency funds in case we need a new roof or for another maintenance project. They stated that if a new roof is needed, for example, the taxpayers probably would not like paying yet additional taxes for a new roof. While we respect this fiscal responsibility and conservatism on some level, how big does the slush fund have to be? Five years ago we built a commercial grade, state-of-the-art, sustainable building. Is the Board anticipating simultaneous major maintenance projects that would require hundreds of thousands of dollars to be available at one moment? If there was a catastrophe (i.e. hurricane), insurance would cover the repairs. Also questioned were the upcoming “renovations” to our five year old library. The Library Director was quick to point out that they aren’t “renovations” but is instead a library “expansion.” Semantics. We know the attic space will be reconfigured. Perhaps the Board should look to the recent Hampton Bays Library expansion plans (one of the other minority six association libraries in Suffolk County with an appointed board) and note the outpouring of public sentiment NOT in support of their expansion plans. The Board makes the good point of stating that the $1.2 million Ann Skovek donation should go toward something sustainable and not toward the lowering of taxes, though Ms. Skovek herself did not state a specific use for her donation. We FOILed her paperwork relating to the donation. However, without that donation, the Westhampton Free Library already has a sizable slush fund and many taxpayers believe the Library should not increase our taxes.